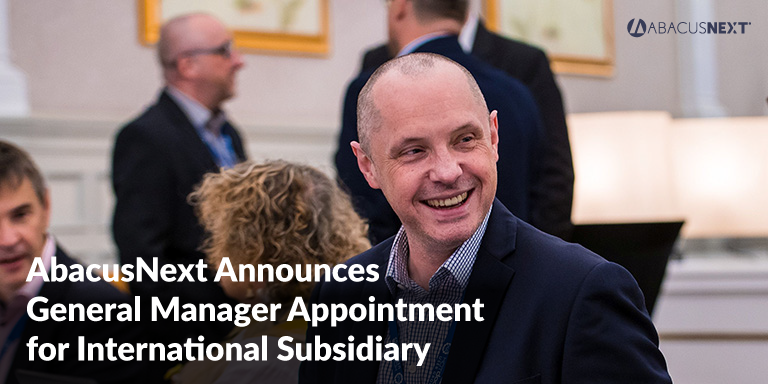 AbacusNext®, the largest Technology-as-a-Service (TaaS) provider for the legal and accounting professions, today announced the appointment of Gary Lessels as General Manager of AbacusNext International, the company’s international subsidiary based in Edinburgh, UK. Lessels brings over 20 years of management experience in the technology sector and will spear head the company’s growth initiatives in the UK, Europe, and beyond. Lessels will be managing on all facets of AbacusNext International’s operations in coordination with the company’s corporate headquarters in San Diego, California, as well as overseeing the expansion of AbacusNext’s full suite of product offerings to the international market. Prior to the appointment, Gary served as AbacusNext International’s Director of Professional Services and brings to the business over 20 years of extensive experience. Previous roles have seen him oversee a variety of technology disciplines including Operations, Pre-Sales, Sales and Delivery and Support teams which led to successfully developing and building business critical software and service solutions.